Welcome to Eyes of Things! Check out our latest demo videos and project poster ! 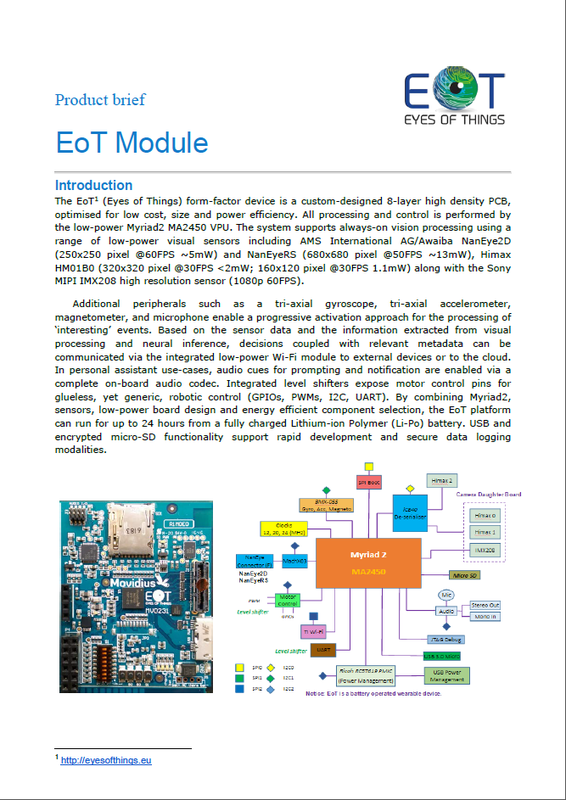 You have reached the website of “Eyes of Things”, an international project focused on building an open embedded computer vision platform. EoT is an Innovation Action funded under the European Union’s H2020 Framework Programme that is going to unfold for three years starting in January 2015. This project has received funding from the European Union’s Horizon 2020 research and innovation programme under grant agreement No 643924.